in Central Park, adults dressed in costumes…. 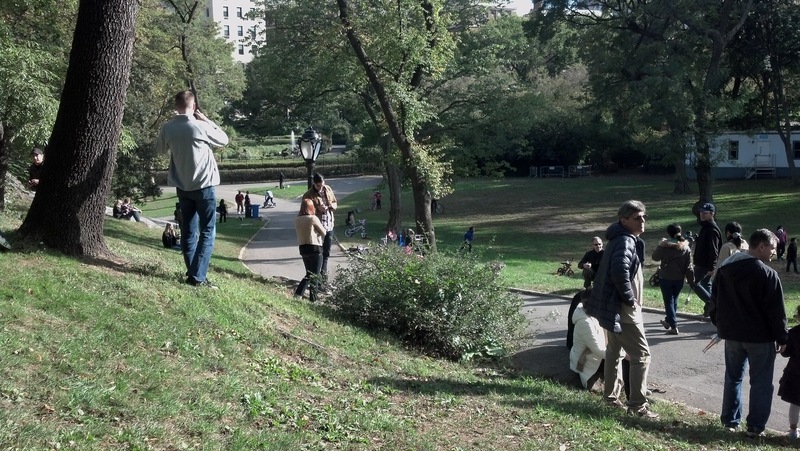 racing down a hill in the upper east quadrant of the park…. It was a gorgeous perfect Fall day to do nothing but just hang and enjoy what life has brought you. 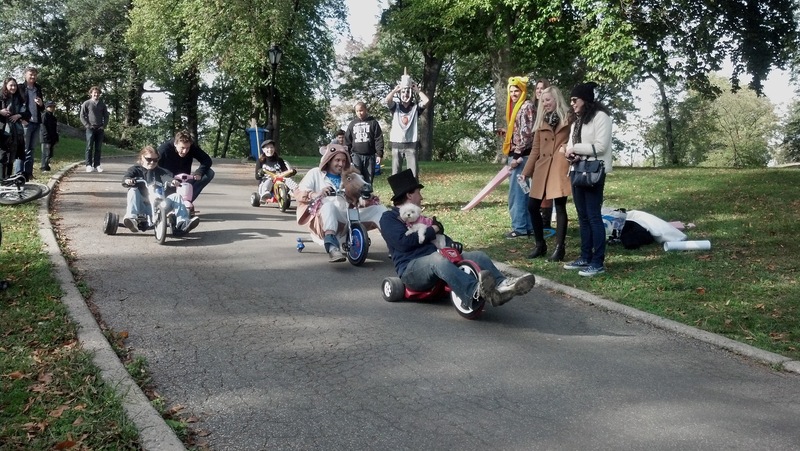 This entry was posted in something out of the ordinary and tagged big wheel race, central park, costumes, fall fun. Bookmark the permalink.